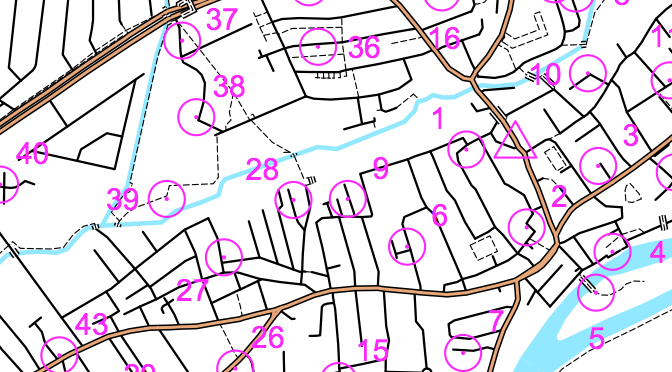 The last in this season’s Street Orienteering events takes place at The Pembroke, 261 Old Brompton Road, Earls Court, SW5 9JA this coming Tuesday 8th May, where you can start anytime between 6:30 and 7:30 as it’s electronic timing. You will be given a clue sheet, which will ask a question for each control, which you will be able to complete when you find the correct location – e.g. “name of the pub” or the “colour of door at number 20”. Each control is assigned a point value – generally the ones further away are worth more points. The aim is to score as many points as possible, within the given time limit. The time limit is generally 60 minutes – try to keep within this limit, as you will be penalised points for every second you are late getting back! If you don’t want to run for a full 60 minutes you can always come back earlier. Juniors can run if accompanied by a responsible adult (it’s a glorified treasure hunt). You can run in groups so if you haven’t done one before, just pair up with someone who has. I will be there, bob.reed@post.com , and am quite happy to get you going or run with you or answer any questions you may have. These really are enjoyable events and the weather bodes well for next Tuesday evening.